I am excited to share today a fabulous project that I feel very blessed to be involved. Choosing Home: 20 Mothers Celebrate Staying Home, Raising Children, and Changing the World is a thoughtful and inspiring collection of writings from 20 moms who stay at home. Each essay is unique in experience and reasons to choose home instead of an outside career. I am thrilled to be one of the 20 moms featured in the beautiful book. The two fabulous ladies who pulled this project together and edited, Rachel Chaney and Kerry McDonald, did a spectacular job, and I am so grateful for this opportunity to work with them. Are you ready for the great deal on this book? For the next few days you can get your copy for FREE!!!!! 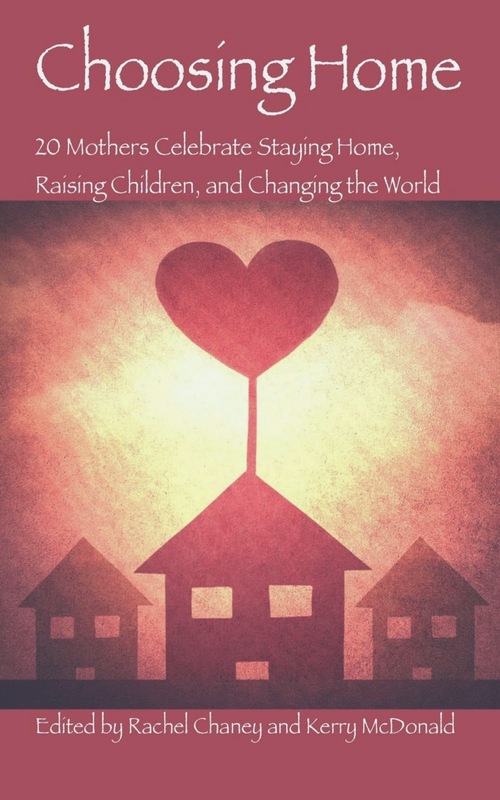 Choosing Home: 20 Mothers Celebrate Staying Home, Raising Children, and Changing the World is now available on Amazon. For FIVE days only, starting Tuesday, May 26, the book will be available for FREE. Grab a copy and enjoy twenty eloquent and thought-provoking stories of mothers who have chosen to postpone or forgo careers to raise their children. On the heels of much media attention surrounding the positive impact of working mothers, Choosing Home argues instead that mothers (and fathers) can change the world by focusing on their families. See for yourself what the buzz is all about. Get your copy today! 1) Are there any non-religious stay-at-home moms in the book? 2) What if their daughters want to be neurosurgeons or math professors or lawyers or dentists? What kind of an example does it set for them if women aren't equal in the workplace? 3) What happens if your husband leaves you & you have no job skills or experience? When I have asked this question to SAHMs, they always shrug & say they are not worried, a good lawyer would get them plenty of alimony. But statistics don't bear that out in the real world. It is dangerous to be financially dependent upon a man. A woman needs to earn her OWN money to be safe & have social, legal & economic equality with men. I think that if you read the book, you would see that the women are varied in education, goals and religions. This book features many different women and their decision to stay at home while their kids were young and some beyond. It also does to exclude the fact that some men choose to be the main child care taker. The main editor and author herself has a Masters degree from Harvard and is well versed in equality and a woman's choice to choose her journey. All decisions have both pros and cons, but this book is about the decision behind choosing home. Thank you - I am definitely going to read it.